Moving images have proliferated from various quarters over the past couple of years in a bid to make smart phone camera shots more interesting and sharable. Phhhoto, the animated photo sharing app that first appeared on iOS, has now made its way to Android. Its proprietary technology facilitates a short burst of four frames, and then loops them back and forth endlessly for sharing both on social networks, and its own feed. You can only use the images you shoot with the app, and add a filter if you want: Phhhoto will not pull in anything from the Camera Roll. So be prepared to get creative immediately. Looping GIFs or videos can then be posted to Twitter, Facebook and Instagram. 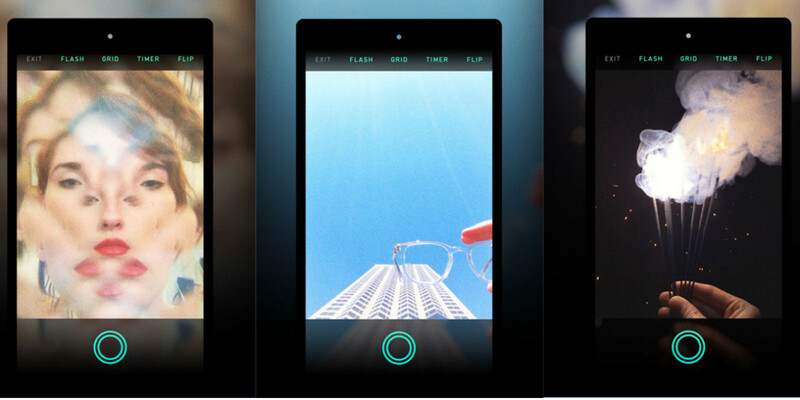 Speaking of Instagram, its brand new Boomerang app bears an uncanny resemblance to Phhhoto. It may be a direct competitor, but it’s not the only one in the GIF space, if you consider Giphy’s recently released Giphy Cam. The activity around moving pictures seems to have reached a fever pitch, but for me, it all started about two years ago when HTC launched what seemed like a gimmicky feature on its One smartphone camera, called Zoe. In Zoe mode, you just tapped the on-screen shutter and the camera automatically captured both still photos and a three-second HD video simultaneously, recording both before and after the shutter tap. Today, Apple’s built-in iPhone camera can shoot Live Photos, complete with sound and motion, also capturing footage before and after the shot. Each of these cameras is a little different, but represents an evolution in mobile photographic form and function that boosts creativity and augments artistic enjoyment.